I must say that I was extremely delighted to when I got an email a few weeks ago from Joey Connolley alerting me to the Creative Commons license use of my music for his incredibly charming film Toast, written, shot & edited in 36 hours. Have a look. Toast from Joey Connolley on Vimeo. For more on Creative Commons and using my music please check out this Creative Commons blog post by Cameron Parkins on my other musical outlet Sound of Picture. Best of luck Mr. Connolley! The track “Elephants on Parade”–clearly an early favorite–was played on the latest edition of All Songs Considered.Â Said host Robin Hilton, “This past year the staff of NPRmusic fell in love with the playful songs of electronic artist Podington Bear.” This tune can be found on Meet Podington Bear, available as the first of 10 CDs in The Box Set, for download via HUSH, or iTunes. 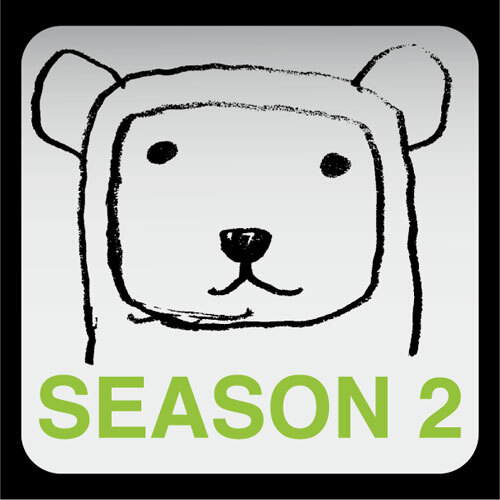 If you’re new to my music, and intrigued, consider signing up for The P Bear Gazette, my email list (over there on the top right) for the latest on the fresh and free for a limited time P Bear tip! DECA: A HUSH 10th Anniversary Compilation FREE. 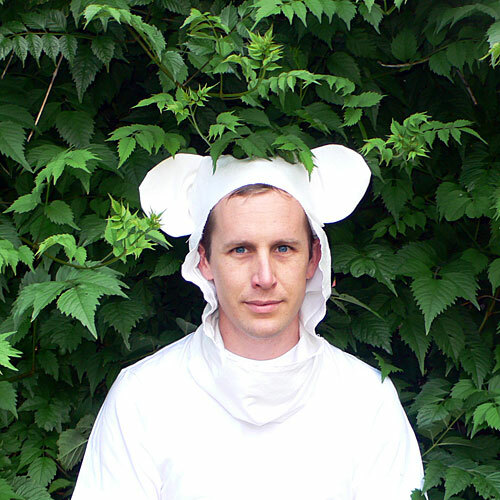 This from HUSH, my label.Â Has a new P Bear jamm: “Wii Oui”. We are delighted to share this party favor with you: DECA: A HUSH 10th Anniversary Compilation. It’s a rare snapshot of an invigorating cross section of artists mostly calling Portland home. The majority of its 28 tracks (tracklist below) are previously unreleased, and it features a 36 page pdf booklet. One note: Should you opt for the convenient, high quality zip download you’ll find you’re given an opportunity to pay an amount of your choosing for it, with the proceeds to go to funding a retreat for the artists who participitated. Songs are the richness of our community and we enjoy sharing them. It is an increasingly rare and meaningful gesture–which does not go unnoticed–when one is willing to pay for them of their own volition. Click here to easily download the FULL COMPILATION zip file with pdf booklet (and 2x higher quality mp3s). Now then. 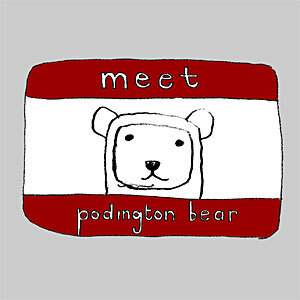 Hi, my character name is Podington Bear. My given name is Chad Crouch. But I suspect I’ll always be Podington Bear. I’m too far in. The short of it is that I made a bunch of songs over the past 18 months, gave em’ away to whoever would listen, then archived it all in a box set recently released by the label I founded here in Portland a decade ago, HUSH Records. So there was a little posturing involved. A little make-believe. No names, no connections to start. Then voila, “signed”. I signed myself to my own label. I doubt that anyone would feel particularly duped by that, but just in case, sorry if it takes some of the shine off. The music remains the same, yes? So, I just want say a few things and then be done. I’m going to keep making instrumental music. It will still be attributed to Podington Bear. I won’t start plastering my face on record covers and stuff. I’ll probably make music and sing over it again. Not sure what that will be called or when, but I kind of miss singing. I definitely won’t match the rate of output of the past 18 months, and intend to diversify the musical offerings, as with the recent Sound of Picture podcast and blog. I’ll probably invest a little more time in beat production on future pop stuff. Play some guitar again. Maybe get a little help from my talented musician friends. Why the ruse, you ask? In part it was like any other gimmick, designed to get a few seconds more attention. [I’m told gimmick has a cheap connotation. I use the word in the sense that any entertainment boiled down is a gimmick: you can’t amuse or entertain people without their attention in the first place. 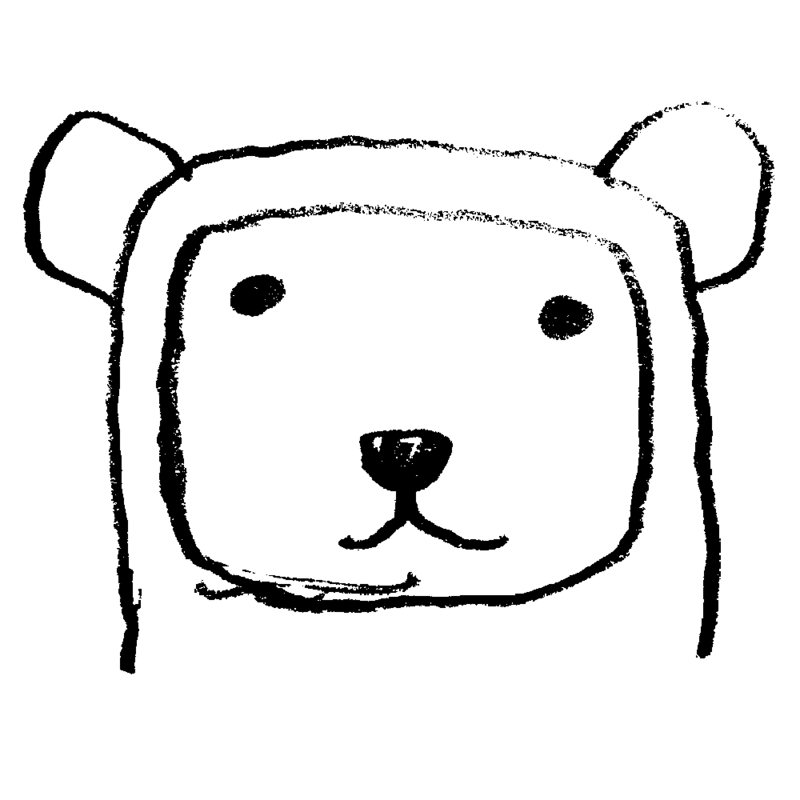 Cartoon bears simply have a history of being very approachable. In the very least I was unconsciously aware of this when the tiny lightning bolt went off in my mind.] But, beyond that Podington Bear was/is my power animal (That’s a reference to the wonderful Thumbsucker film) shielding me in my creative state. Lastly, it was a research and development experiment for the business of music, unfettered from the history and business model of HUSH Records. Adaptation requires experimentation. I think that’s about it. If you got this far thanks for reading. I hope you’ll find something to like ’round here today. Oh and hey: if you do, enter your email up there so I can keep in touch. About: Chad Crouch founded the HUSH records label in 1998 and has directed it since. His previous recordings include four albums with his band Blanket Music (2000-2007), one album under his given name (1997), and one EP under the name Toothfairy (2006). HUSH will be celebrating its 10th anniversary at The Aladdin Theatre in Portland with Laura Gibson, Loch Lomond, and Nick Jaina on July 12.